Smashed Pennies are not only the cheapest souvenirs you can get while on vacation, but their fun to collect and easy to carry. Just about every venue has a “penny press” for making the imprinted elongated coins–and they only cost 51 cents! Bonus: kids can pick out the design and make the squished penny themselves. I love collecting smashed pennies! They’re small, cheap and fun to make. But they’re also great when you’ve got small kids who “need” to buy something whenever you hit the local tourist trap. Do you really need a $12 stuffed animal to commemorate your 5th trip to the zoo this summer? Nope. But you can take a moment to expand your smashed penny collection for a few cents. Always remember to bring along some change when you’re on a vacation, staycation or just hitting the local museum. Smashed penny machines are EVERYWHERE. I keep a spare change jar–yes, I still use cash for small purchases–so I shake out a couple quarters and look for the shiniest penny I’ve got before we leave the house. If you want a really stellar collection, look for coins that are pre-1982. Due to the rising cost of copper, modern pennies are made of zinc coated copper. You might have little round sandwiches in your pocket… Most of our coins are metal sandwiches. The outside layers are three-quarters copper and one-quarter nickel, and the “filling” is solid copper. Pennies are made of zinc coated with copper. 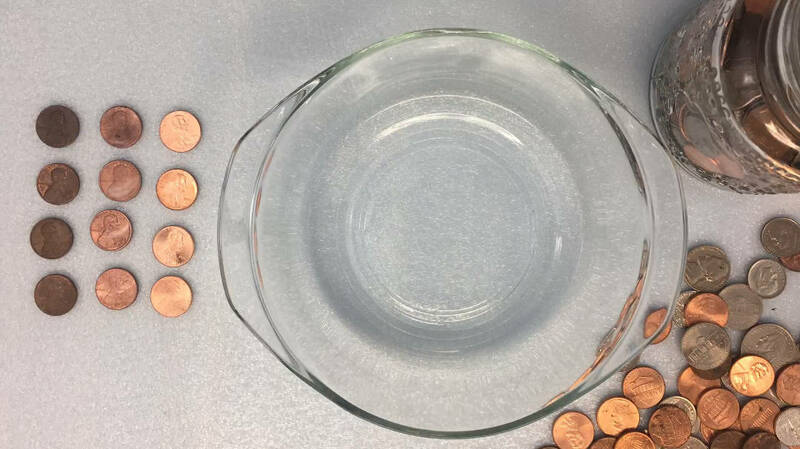 Only nickels are one solid material—that same 75% copper/25% nickel alloy. Would you like fries with that? From 1864 to 1962 pennies were made of bronze: 95% copper and 5% zinc. If you manage to find a penny from 1943, keep it! During WWII pennies were made of zinc-coated steel to save on copper for the war effort. Fun Fact: In 2017 it cost 1.8 cents to make a penny and 6.6 cents to make a nickel. However it only costs 3.3 cents to make a dime and 8.24 cents to make a quarter. Look at any handful of coins and you’ll notice that pennies don’t stay shiny forever. That’s because copper reacts with oxygen in the air and corrodes. Zinc corrodes even faster than copper, so you might find modern pennies that are nearly black or even green! Don’t worry, you can shine up your pennies before–or after–you smush them. All it takes is a little acid bath. Yikes? Acid?? Ok, a very MILD acid bath made with common household ingredients: vinegar & salt. You can even use ketchup if you don’t mind the mess! Dip the pennies in the bath and watch them shine! Rinse and dry the pennies before adding them to your display. 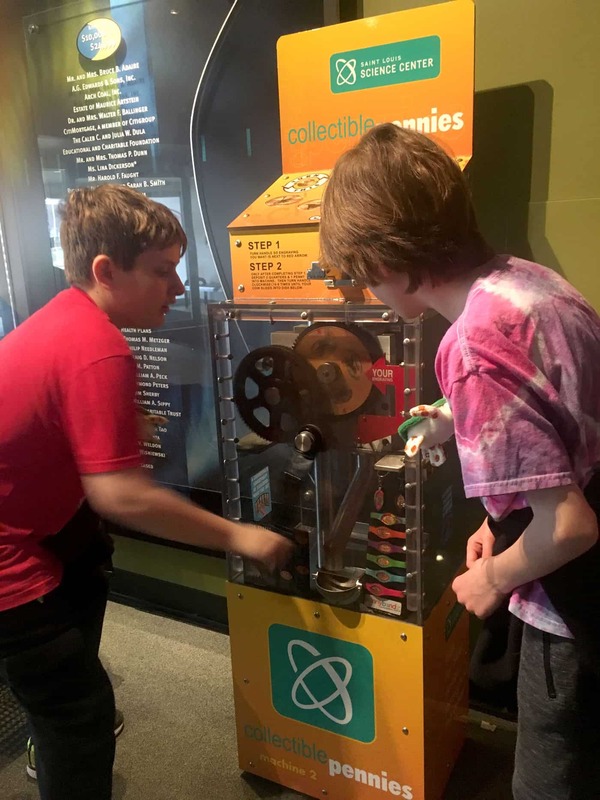 Seriously, who thinks that all our museums and zoos would set out machines that break the law? It’s illegal to mutilate a coin for counterfeiting (like trying to turn a penny into a dime), but if you’re doing it for fun it’s cool. 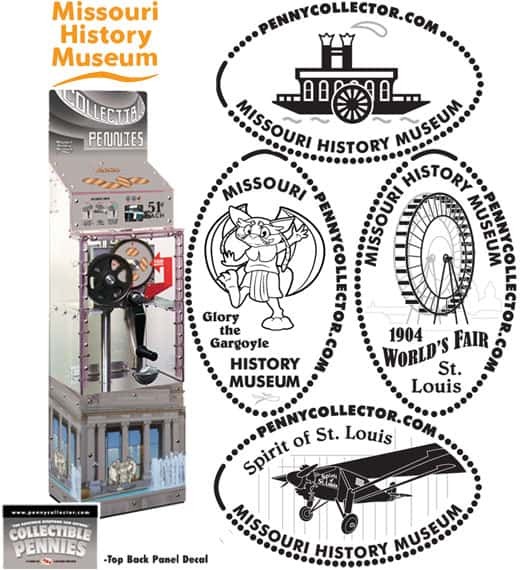 All the Penny Souvenir Machines in Missouri and the U.S.
There’s a website for everything, and this one tracks penny smashing machines! The list seems pretty up to date, and includes photos of the souvenirs you can get out of it. 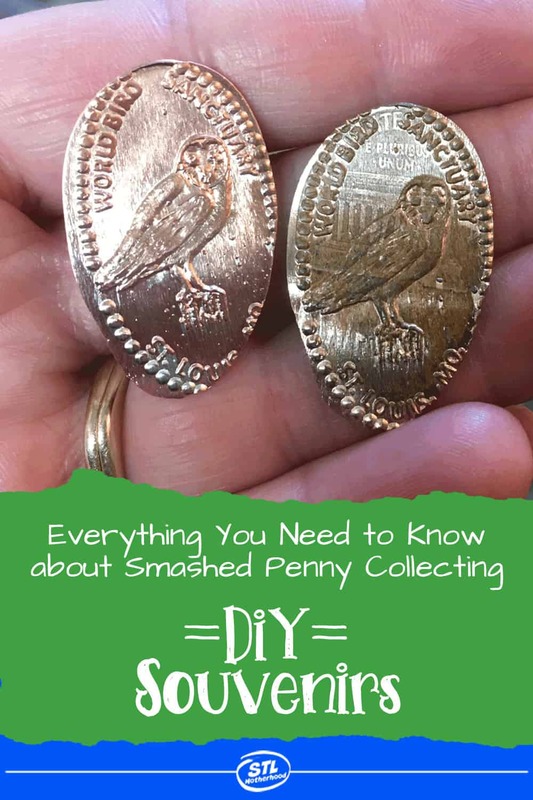 Now that you have a collection of smashed pennies, let’s show them off! You can mount them in a frame, turn them into jewelry, or do what we do: make a Penny PassPort! 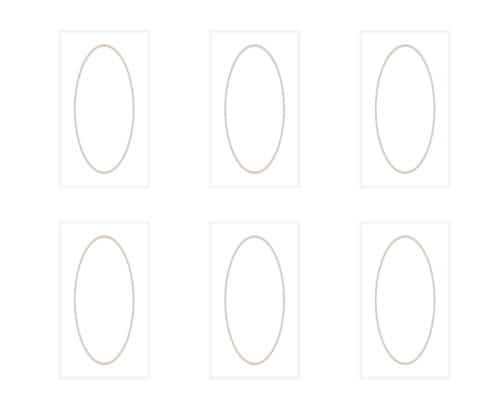 You’ll need a color printer, string and something to poke holes to make this booklet. My favorite hole poking device is my Swiss Army Knife, but an awl, ice pick or darning needle will do the trick! Get the Penny PassPort cover here! It’s free! 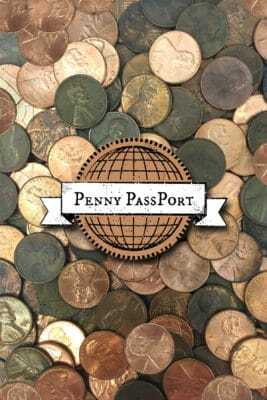 Get the Penny PassPort Inside pages–hold 24 more pennies! !